Korek TV is testing in DVB-S2 Clear on 11137.00MHz, pol.H SR:27500 FEC:5/6 SID:96 PID:116/216. Korek TV has left 11470.00MHz, pol.V (DVB-S SID:114 PID:1141[MPEG-4]/1142), it is no longer transmitted by satellite in Europe. A new channel has started in DVB-S Clear: Korek TV (United Arab Emirates) on 11470.00MHz, pol.V SR:27500 FEC:5/6 SID:114 PID:1141[MPEG-4]/1142. 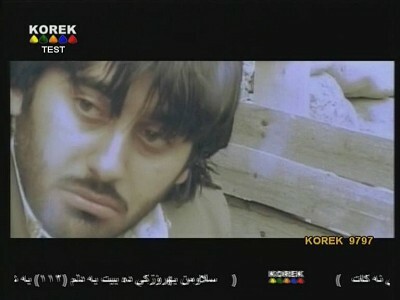 Korek TV is back on 12054.00MHz, pol.H SR:27500 FEC:5/6 SID:514 after a break ( PID:518[MPEG-4]/519 Kurdish - Clear). Korek TV is back on 12054.00MHz, pol.H SR:27500 FEC:5/6 SID:258 after a break ( PID:261[MPEG-4]/262 Kurdish - Clear). Korek TV has left 12054.00MHz, pol.H (DVB-S SID:800 PID:101[MPEG-4]/110 Arabic,136), it is no longer transmitted by satellite in Europe. Korek TV has left 12398.78MHz, pol.V (DVB-S SID:4130 PID:4131/4231 Arabic), it is no longer transmitted by satellite in Europe. New FEC for Korek TV on 12398.78MHz, pol.V: FEC:5/6 ( SR:27500 SID:4130 PID:4131/4231 Arabic - Clear). New frequency for Korek TV: 12398.78MHz, pol.V (DVB-S SR:27500 FEC:3/4 SID:4130 PID:4131/4231 Arabic- Clear). ADD: New frequency for Korek TV: 10930.16MHz, pol.H (DVB-S SR:27500 FEC:3/4 SID:3512 PID:8040/8041 Arabic- Clear). Korek TV is back on 12437.00MHz, pol.H SR:27500 FEC:3/4 SID:4704 after a break ( PID:4741/4742 Kurdish - Clear). New frequency for Korek TV: 11642.00MHz, pol.H (DVB-S SR:27500 FEC:3/4 SID:10609 PID:650/651 Kurdish- Clear). A new channel has started in DVB-S Clear: Korek TV (United Arab Emirates) on 12437.00MHz, pol.H SR:27500 FEC:3/4 SID:4704 PID:4741/4742 Kurdish. Korek TV (United Arab Emirates) broadcasts in DVB-S Clear on 12245.00MHz, pol.H SR:27500 FEC:3/4 SID:10609 PID:650/651 Kurdish. New SID for Korek TV on 12245.00MHz, pol.H FEC:3/4 SR:27500: SID:169 ( PID:650/651 Kurdish - Clear). New frequency for Korek TV: 12245.00MHz, pol.H (DVB-S SR:27500 FEC:3/4 SID:10609 PID:650/651 Kurdish- Clear). A new channel has started in DVB-S Clear: Korek TV (United Arab Emirates) on 12476.00MHz, pol.H SR:27500 FEC:3/4 SID:10609 PID:650/651.